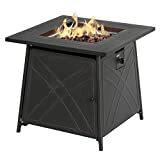 Shanxi Granite Hearth Table - Fire Pit, Grill or Ice Bucket! Back: LEGO Life Size Han Solo Frozen in Carbonite - 10,000 Bricks! There's nothing better than a summer bonfire, sitting around a fire with friends, passing the tequila and telling stories. 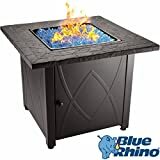 However, your seating options usually are limited around a fire pit or bonfire, but if you combine the fire with a table you get the Shanxi Granite Hearth Table. This has to be the ultimate outdoor table. 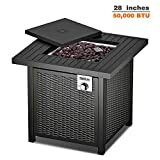 It has a solid granite top cut from the mountains in China's Shanxi province and a cutout section in the center of the table that contains a 16" stainless steel fire pit or can be replaced with an optional stainless steel ice bucket or stainless steel grill. A tabletop section is also included to cover the pit for extra surface area. 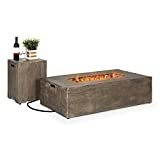 If you enjoy entertaining, this multi-purpose luxury table is the way to go and best of all, it is available through Hammacher Schlemmer, so it's guaranteed for life! Green Head Recommended.